A new book about Hillary Clinton’s last campaign for president — “Shattered,” by journalists Jonathan Allen and Amie Parnes — has gotten a lot of publicity since it appeared two weeks ago. But major media have ignored a revealing passage near the end of the book. Six months later, that centerpiece of the argument is rampant — with claims often lurching from unsubstantiated overreach to outright demagoguery. Before Congress adjourns for 2016, we have one last opportunity to build support for suspending US military and security aid to Honduras, where repression of human rights defenders and social movements continues unabated. With the US State Department certifying that the Honduran government is taking effective steps on human rights, despite continued assassinations and impunity, it is important that Congress pushes back. To date, 49 Representatives have co-sponsored the Berta Caceres Human Rights in Honduras Act, which would suspend US military and security aid to Honduras. 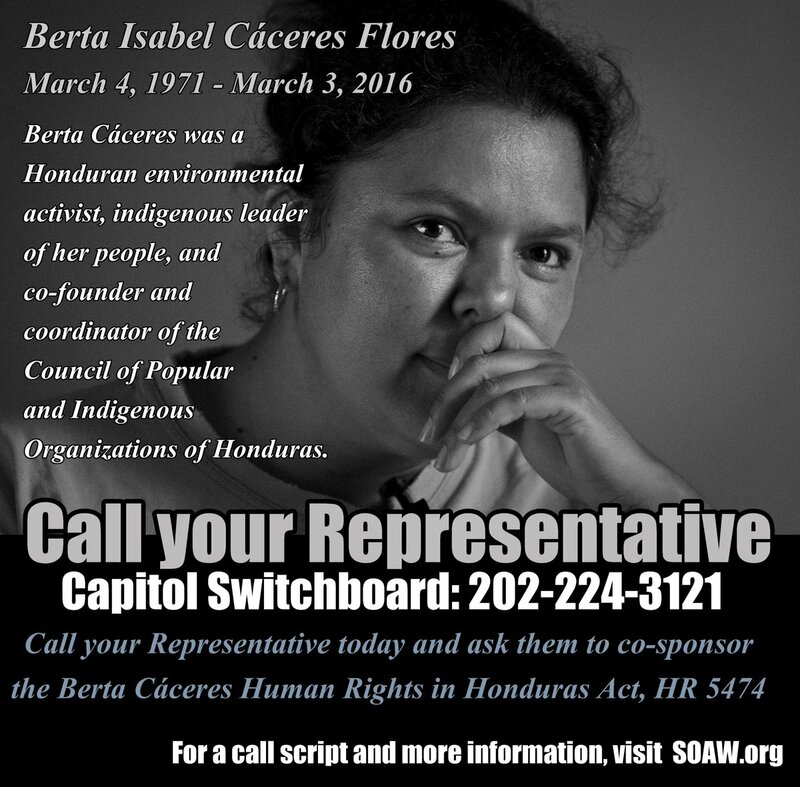 Can you take a moment today to call your Representative if he or she has not yet signed on and ask him/her to sponsor HR 5474, the Berta Caceres Human Rights in Honduras Act? Let us know how your call went here. Thank you for all your efforts to call on Congress to cut destructive US security aid to Honduras in 2016. We look forward to continuing to work together in 2017. The West’s fake wars in the Middle East are nothing new, but it is not well known that during the Clinton presidential campaign, a Pulitzer prize winning investigative journalist by the name of Seymour Hersch released a terrifying article – “Whose Sarin?” While it was largely swept under the rug by mainstream media, the findings confirm that Hillary Clinton not only knew of the rebels’ posession of chemical weapons in Libya, but that she authorised their use, in her capacity as Secretary of State. 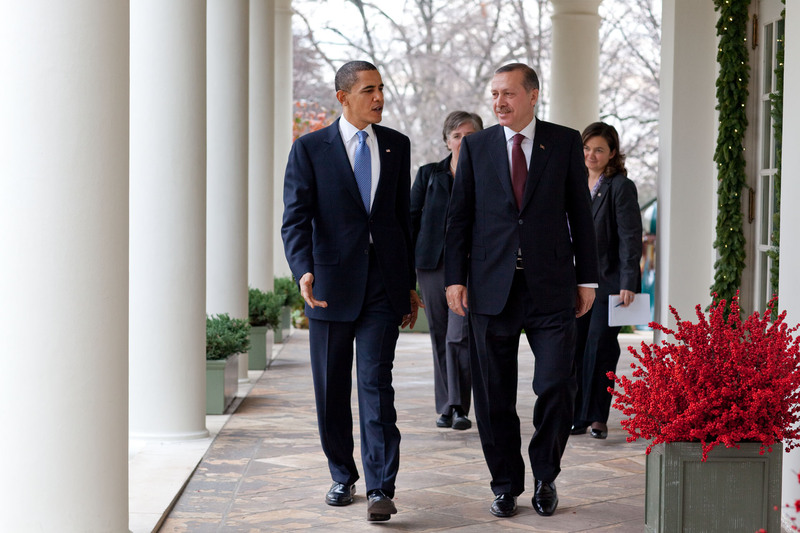 Later, the same kind of weapons would be blamed on Assad in Syria, in order to topple his government. 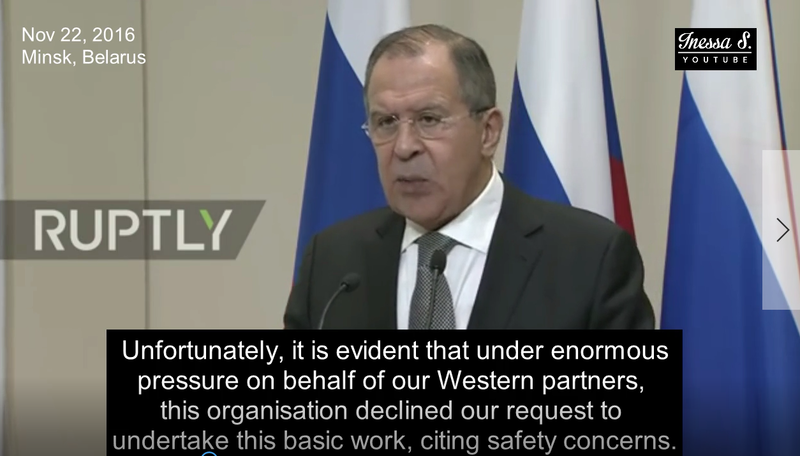 Based on Mr Lavrov’s press conference in recent days, it is evident that US funded chemical weapons use in Syria continue to this day. Michael Moore has made some terrific movies in the past, and Where to Invade Next may be the best of them, but I expected Trumpland to be (1) about Trump, (2) funny, (3) honest, (4) at least relatively free of jokes glorifying mass murder. I was wrong on all counts and would like my $4.99 back, Michael. Moore’s new movie is a film of him doing a stand-up comedy show about how wonderfully awesome Hillary Clinton is — except that he mentions Trump a bit at the beginning and he’s dead serious about Clinton being wonderfully awesome. This film is a text book illustration of why rational arguments for lesser evilist voting do not work. Lesser evilists become self-delusionists. They identify with their lesser evil candidate and delude themselves into adoring the person. Moore is not pushing the “Elect her and then hold her accountable” stuff. He says we have a responsibility to “support her” and “get behind her,” and that if after two years — yes, TWO YEARS — she hasn’t lived up to a platform he’s fantasized for her, well then, never fear, because he, Michael Moore, will run a joke presidential campaign against her for the next two years (this from a guy who backed restricting the length of election campaigns in one of his better works). Moore maintains that virtually all criticism of Hillary Clinton is nonsense. What do we think, he asks, that she asks how many millions of dollars you’ve put into the Clinton Foundation and then she agrees to bomb Yemen for you? Bwahahaha! Pretty funny. Except that Saudi Arabia put over $10 million into the Clinton Foundation, and while she was Secretary of State Boeing put in another $900,000, upon which Hillary Clinton reportedly made it her mission to get the planes sold to Saudi Arabia, despite legal restrictions — the planes now dropping U.S.-made bombs on Yemen with U.S. guidance, U.S. refueling mid-air, U.S. protection at the United Nations, and U.S. cover in the form of pop-culture distraction and deception from entertainers like Michael Moore. Standing before a giant Air Force missile and enormous photos of Hillary Clinton, Michael Moore claims that substantive criticism of Clinton can consist of only two things, which he dismisses in a flash: her vote for a war on Iraq and her coziness with Wall Street. He says nothing more about what that “coziness” consists of, and he claims that she’s more or less apologized and learned her lesson on Iraq. What? It wasn’t one vote. 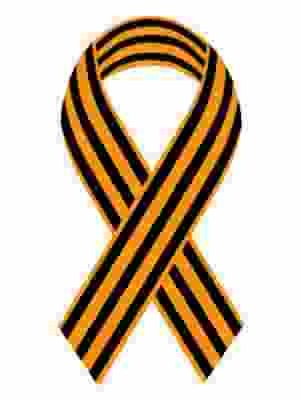 It was numerous votes to start the war, fund it, and escalate it. It was the lies to get it going and keep it going. It’s all the other wars before and since. She says President Obama was wrong not to launch missile strikes on Syria in 2013. She pushed hard for the overthrow of Qadaffi in 2011. She supported the coup government in Honduras in 2009. She has backed escalation and prolongation of war in Afghanistan. She skillfully promoted the White House justification for the war on Iraq. 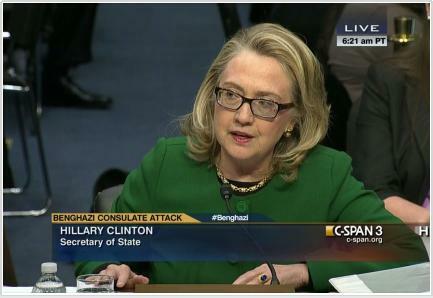 She does not hesitate to back the use of drones for targeted killing. She has consistently backed the military initiatives of Israel. She was not ashamed to laugh at the killing of Qadaffi. She has not hesitated to warn that she could obliterate Iran. She is eager to antagonize Russia. She helped facilitate a military coup in Ukraine. She has the financial support of the arms makers and many of their foreign customers. She waived restrictions at the State Department on selling weapons to Saudi Arabia, Algeria, Kuwait, United Arab Emirates, Oman, and Qatar, all states wise enough to donate to the Clinton Foundation. She supported President Bill Clinton’s wars and the power of the president to make war without Congress. She has advocated for arming fighters in Syria and for a “No Fly” zone. She supported a surge in Iraq even before President Bush did. That’s just her war problem. What about her banking problem, prison problem, fracking problem, corporate trade problem, corporate healthcare problem, climate change problem, labor problem, Social Security problem, etc.? Moore parts company from substantive critique in order to lament unproven rightwing claims that Hillary Clinton has murdered various people. “I hope she did,” screams Moore. “That’s who I want as Commander in Chief!” Hee hee hee. Then Moore shamelessly pushes the myth that Hillary tried to create single-payer, or at least “universal” healthcare (whatever that is) in the 1990s. In fact, as I heard Paul Wellstone tell it, single-payer easily won the support of Clinton’s focus group, but she buried it for her corporate pals and produced the phonebook-size monstrosity that was dead on arrival but reborn in another form years later as Obamacare. She killed single-payer then, has not supported it since, and does not propose it now. (Well, she does admit in private that it’s the only thing that works, as her husband essentially blurts out in public.) But Moore claims that because we didn’t create “universal” healthcare in the 1990s we all have the blood of millions on our hands, millions whom Hillary would have saved had we let her. Moore openly fantasizes: what would it be like if Hillary Clinton is secretly progressive? Remember that Moore and many others did the exact same thing with Obama eight years ago. To prove Clinton’s progressiveness Moore plays an audio clip of her giving a speech at age 22 in which she does not hint at any position on any issue whatsoever. Moore’s fantasy is that Clinton will dash off a giant pile of executive orders, just writing Congress out of the government — executive orders doing things like releasing all nonviolent drug offenders from prison immediately (something the real Hillary Clinton would oppose in every way she could). But when he runs for president, Moore says, he’ll give everybody free drugs.